Mom and I spent the weekend at the first ever Trick Dog Expo! It was amazing to be in a place with so many people and dogs that love tricks just as much as we do! 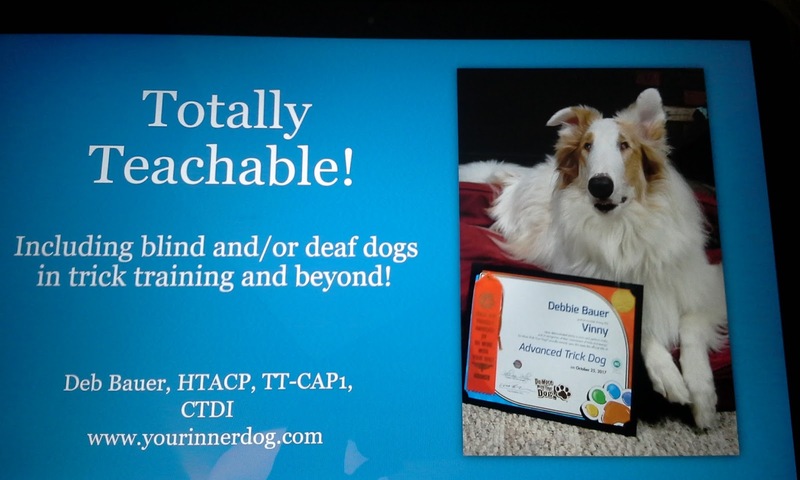 Mom started the weekend by giving a presentation, starring ... me (and my friends too)! 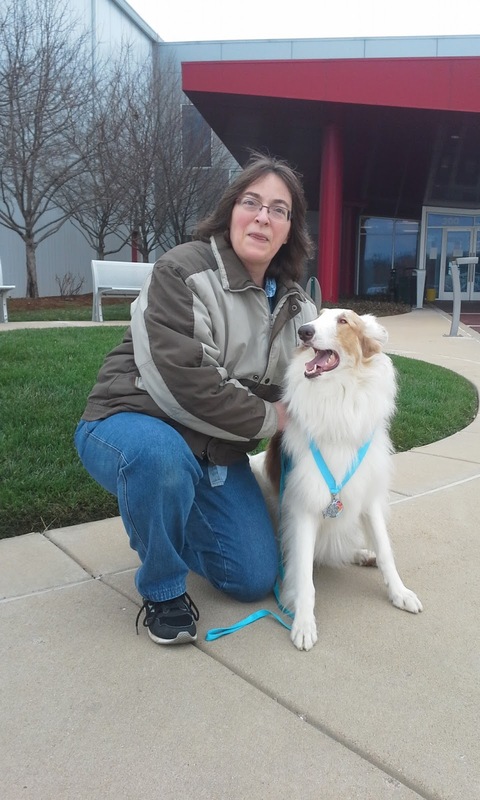 She taught people all about how to teach dogs that are visually and/or hearing impaired. She had a good turnout and people had very good questions. She even gave away a signed copy of one of her books to a lucky listener! 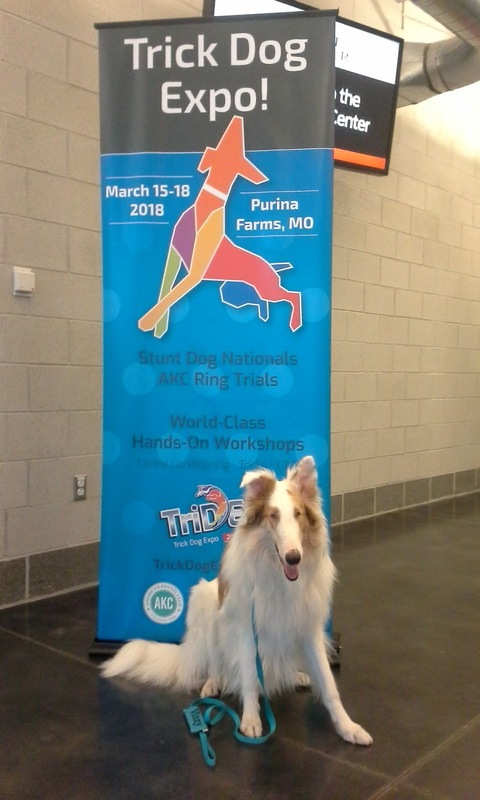 I spent the weekend learning about Klimbs - most of the workshops and the stunt dog competitions all used the Klimb. I liked it and knew right away to put my front feet on it, just like I do with some of our other props. But Mom wanted me to put all four feet on it, and I am a big boy with a long body. I had to really practice to figure out how to fit all my feet up on it. When I got my back feet up on it, I felt like my front feet couldn't fit too. But I mastered the Klimb and now I hop right up on it right away! Mom told me I looked best on the purple one. 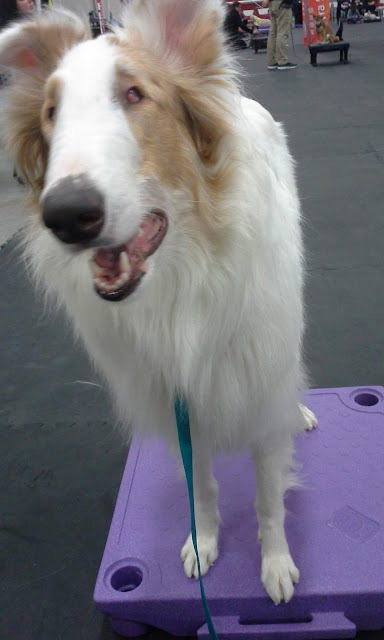 When I wasn't enjoying the workshops and learning new things for treats, there were other cool games to try. 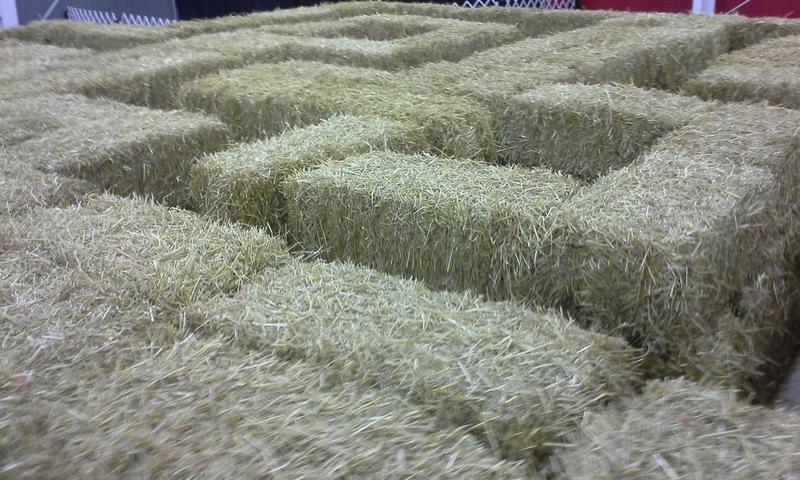 This was a maze made out of hay bales. Mom started out leading the way and I followed, but soon I got tired of going so slowly and I passed her and led her the rest of the way out of the maze! It was fun and I wanted to do it again! Mom was excited there was barn hunt to try - but when we got there, there weren't any rats. So we practiced our hide and seek with treats. 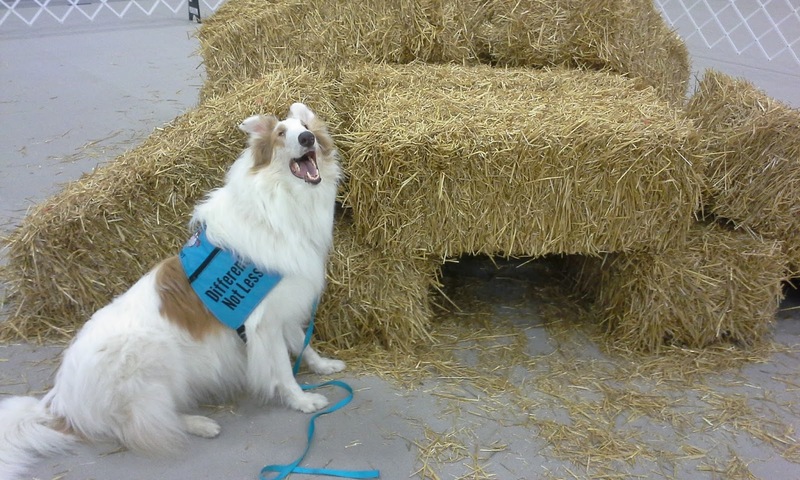 I hear they will have this game at the Special K9 Games in May - maybe I will actually get to meet some rats there! I wonder if they smell good? We had so much fun at TriDex! I hope we can come back again next year. It was my very first dog Expo/Conference. Mom was real proud of me and how happy and calm I was with everything going on. We even finished our very first 2K, and my medal matched colors with my vest and leash! Go, Vinny! Love that vest!